The warm, dry weather in Seattle over the past month has brought with it an increase in dry-weather related fires. Since July 1, the Seattle Fire Department has responded to over 200 dry weather-related fires involving bark, dry grass and shrubs. Carelessly discarded cigarettes and other smoking materials can easily start a fire in dry conditions. Douse smoking materials in water before tossing out. Make sure proper cigarette disposal canisters are available in areas where smoking is allowed. Remove long grass, weeds or anything that can burn from around buildings. This includes limbs that touch buildings or hang near the roof. Remove dead plants or bushes as soon as possible. Clear roof and gutters of needles and leaves. Are your smoke alarms over 10 years old? Do you have enough smoke/CO alarms in your home? According to the National Fire Protection Association, dead batteries caused one-quarter of the smoke alarm failures in home fires across the US. A working smoke alarm significantly increases your chances of surviving a deadly home fire. Get some piece of mind and check your smoke alarms today. The Seattle Fire Department recommends that you install at least one smoke alarm on every level of your home and inside each bedroom. 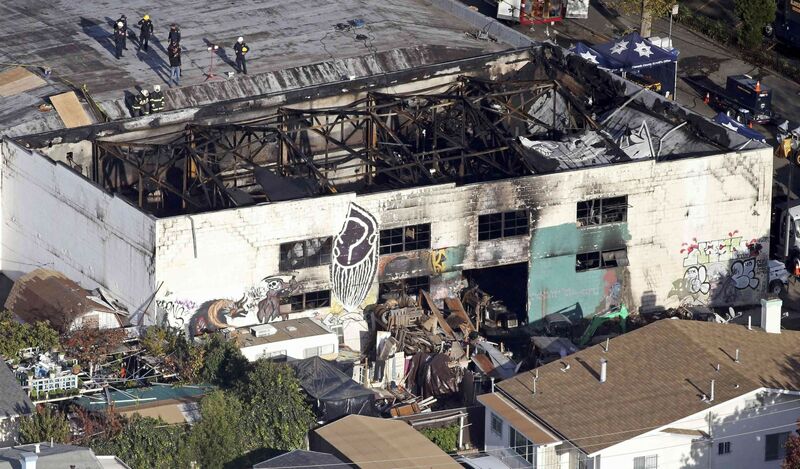 Over the weekend in Oakland, California, 36 people lost their lives from a fire during a warehouse dance party. This tragic event provides a solemn reminder about the dangers of fire and its devastating impact on communities. Does the building appear to be in a condition that makes you feel comfortable? Is the main entrance wide and does it open outward to allow easy exit? Like on an airplane, identify the location of all available exits from the building. Are they clearly marked and well lit? Always be prepared to use the exit closest to you, as you may not be able to use the main exit. Make sure aisles are wide enough and not obstructed or blocked. If there are not at least two clearly marked exits, or they are blocked, report the violation to the management. Leave the building if it is not immediately addressed. Call the Seattle Fire Department’s Fire Marshal’s Office at 206-386-1450 to register a complaint. Does the building appear to be overcrowded? Are there fire sources such as candles burning, pyrotechnics, or other heat sources that may make you feel unsafe? Are there safety systems in place such as sprinklers, smoke alarms and fire extinguishers? Ask if you have concerns, and leave if you don’t feel safe. If an alarm sounds, or you see any indication of smoke or fire, immediately exit the building in a calm and orderly fashion. Use your closest exit, even if it is not the main exit. Once you have escaped, stay out and move away from the building. This allows others to exit safely and firefighters to enter. Whether you are gathering for Thanksgiving or Friendsgiving, keep safety in mind if you decide to forgo takeout and use your oven this year. Thanksgiving is the leading day for home cooking-related fires. And if you are considering frying a turkey this year, BE CAREFUL! The US Fire Administration has some recommendations if you decide to fry a turkey this year. One small flame resulted in a 3-alarm marina fire on November 2 with damage to 11 boats. Fortunately, there were no injuries. Candles are used in 70% of American households. Yet, a study by the National Fire Protection Association shows that only 30% of adults who use candles have a specific household rule to never leave a burning candle unattended. Always keep burning candles within sight. Extinguish all candles when leaving a room or before going to sleep. Always use a candleholder specifically designed for candle use. The holder should be heat resistant, sturdy and large enough to contain any drips or melted wax. Keep burning candles away from items that can catch on fire such as furniture, drapes, bedding, carpets, books, paper, etc. If light is needed during a power outage, use battery-operated light source instead of candles. For more tips on candle safety visit the Home Heating Fire Safety Fact Sheet.